Spring is here. 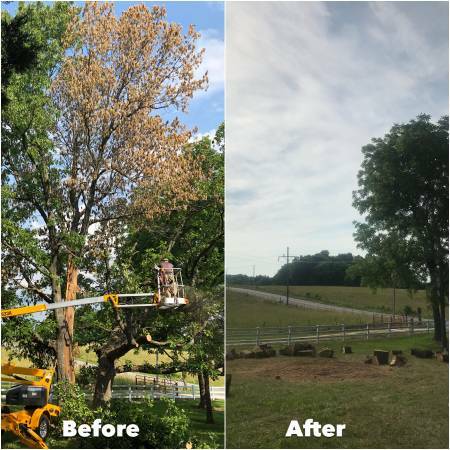 Get your tree work & landscaping taking care of now! 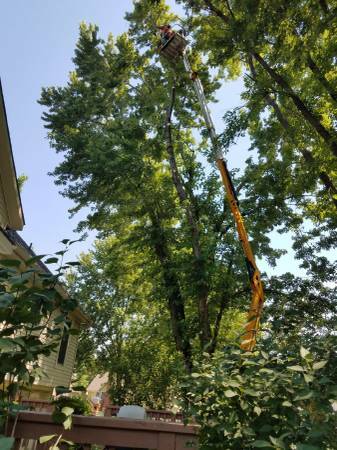 Call us, get a free estimate & book a removal or trimming & get 10% off (Spring Special - mention this). 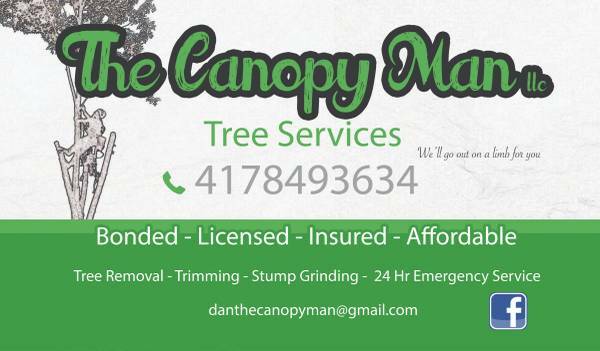 The Canopy Man is your friendly neighborhood arborist. Focused on low impact sustainable practices that maximize aesthetics. Licensed-Insured-Affordable. 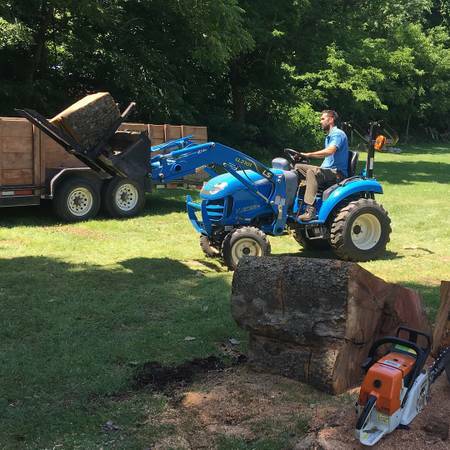 We offer full tree removal, stump grinding, trimming, landscape pruning, brush pickup & 24 hr Emergency Service at an affordable price! Our service ranges from Joplin - Bolivar - Branson - Springfield - Lebanon & surrounding areas. 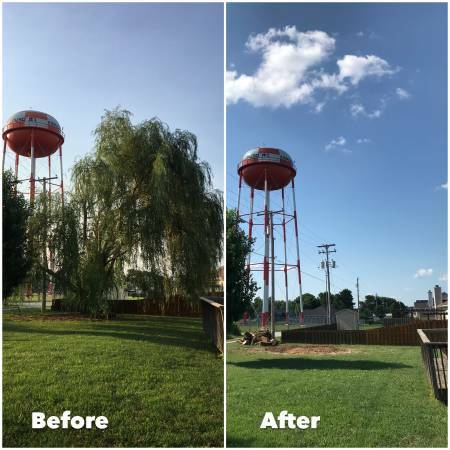 We pride ourselves on using the safest and most efficient techniques & our clean up has earned us 40+ five star reviews!